The greatest thing about books is how they can transport literally anyone to a world full of learning, imagination, and adventure. From baby years to old age, everybody can indulge themselves with a good book. Right now though, let’s focus on books written and designed for babies. After careful research and product testing, we are giving the best baby book in today’s market. 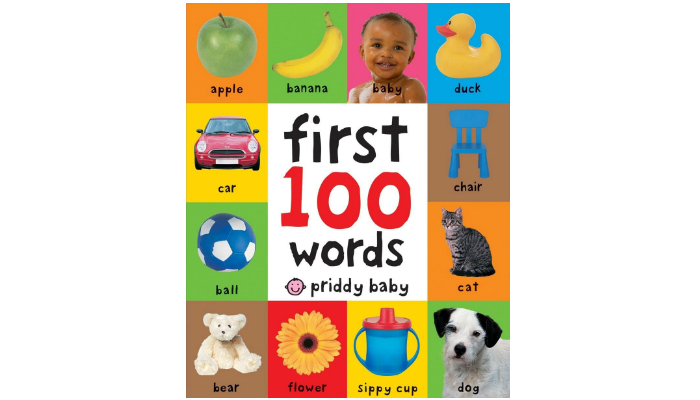 “First 100 Words” is a board book written by Roger Priddy to teach babies some basic words. It is packed with clear, simple pictures and enhanced with bright background colors. Because of the clarity of colored images, babies will surely get interested every time a page is turned. Since each page can catch babies’ attention, they will easily remember the correlation between every photo and its designated word. This book uses boards instead of the usual paper pages to ensure durability. Babies can be too curious and touch everything they see. Sometimes, they can get rough and damage what they are holding. So, the boards are guaranteed to withstand tears and deterioration. Despite the tough boards, the cover is padded to cushion tiny hands. Priddy’s baby book is comprehensible for ages one to three years old. It is highly recommended for grade levels preschool and above. It is part of the series called “First 100.” This board book has 26 pages, obviously using the alphabet as a basis for the chosen words. 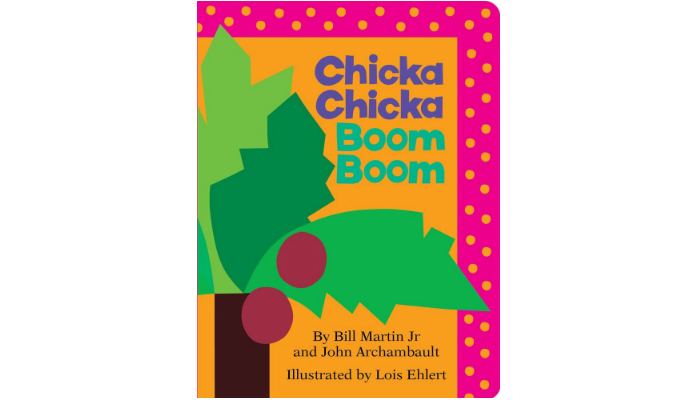 “Chicka Chicka Boom Boom” is another board book written by Bill Martin Jr. and John Archambault. Its creative illustrations are designed by Lois Ehlert. This is an alphabet book that has a story which is kind of unique. The simple plot is that all the letters of the alphabet are racing to the top of the coconut tree. The charm of this book is its set of rhymes. As the parent reads aloud, the sentences form a chant that will be remembered by babies. Another factor why this book is a delight is Ehlert’s cheerful images and vivid colors. Actually, this book is part of the famous “Chicka Chicka” series. It is specifically the complete version of the first-ever “Chicka Chicka Boom Boom” plot in a board book form. Despite the firm board pages, the corners are rounded for babies’ safety. This board book can be brought anywhere for the baby’s enjoyment. It can be appreciated by kids ages one to four years old. It has a generous content of 36 pages. 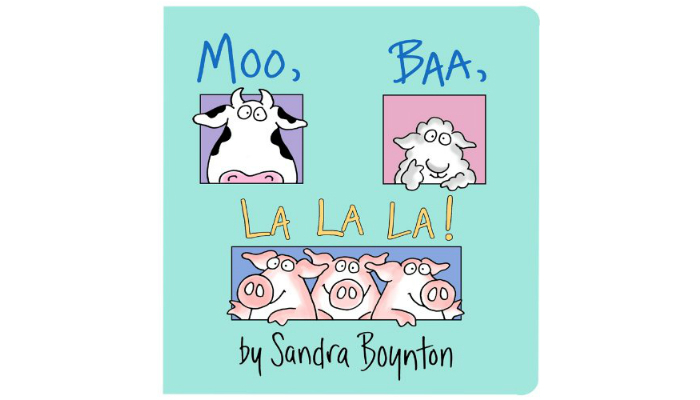 “Moo Baa La La La” tells a mischievous story about outrageous animal sounds such as “la la la” by pigs. However, when the statements come together, they make a great baby book for reading aloud. 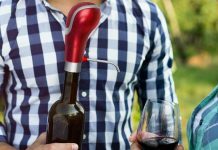 Even adults will have fun because of the content’s silliness. Sandra Boynton is the author as well as the artist of this board book. She specializes in making humorous, quirky children’s books. She loves using unusual words and her own animal characters. Boynton has been writing and illustrating seven books for the general audience and more than forty children’s books since 1974. She even has four New York Times Bestsellers. 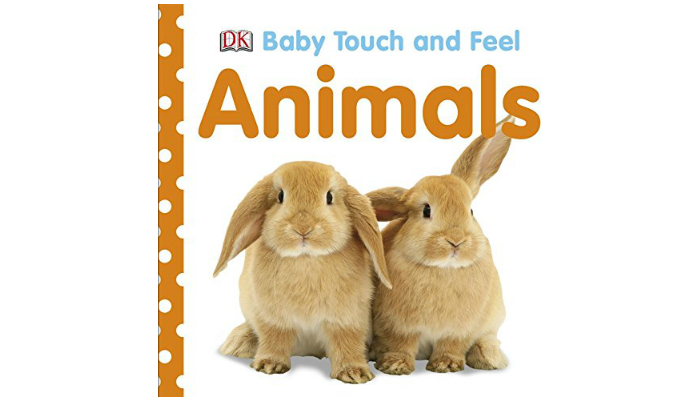 “Baby Touch and Feel: Animals” is just a small book, which makes it perfect for babies. Despite its small size, it is full of soft animals ready for petting as the baby turns pages. It has pages for furry animals such as penguins, kittens, and puppies. It uses real photographs of animals. These are the major reasons why this board book is a USA Today bestseller. Over one million copies are already sold as well, proving the influence of this unique baby book. Because of the 3D pages, babies are able to explore at such a young age even inside their homes. They will also develop excellent motor skills and an early grasp of language. The reading experience can even be enhanced by teaching the baby various animal sounds. This book is from the “Baby Touch and Feel” series. It has 14 fun, textured pages. “Your Baby’s First Word Will Be DADA” is definitely a must-have for parents who are also fans of the late-night show host and entertainer Jimmy Fallon. Fallon is known to be the main man of “The Tonight Show” on NBC. 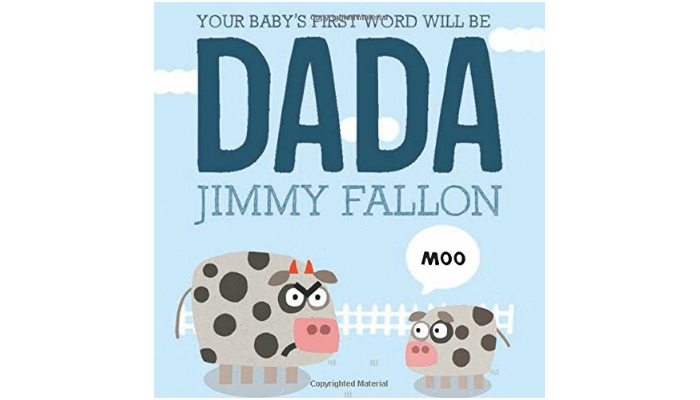 The goal of the book is simple: the baby’s first word must be “Dada.” Even though the concept can be arguable, controversial and even foolish, a lot of reviewers are claiming that Fallon’s technique throughout the entire content is actually effective. This baby book can be ideal for single fathers or just simply frustrated dads since babies usually say “Mama” first. This read-aloud book is perfect for kids ages one to three years old. It has 34 hilarious pages. Publications such as Publishers Weekly and Children’s Literature praised the simplicity yet effectiveness of this entertaining book. “Where Is Baby’s Belly Button?” is the book version of the common playtime game called peekaboo. It is such an interactive book that the baby will surely learn something from it. Regardless of the sturdy board pages, the flaps are so easy to lift for a smooth read-aloud session. This fun baby book is perfect for children ages one to four years old. It has 14 creative pages. Included in these pages are flaps that show other parts of the body, not just the belly button. That leads to an early learning about the basics of the human anatomy. Karen Katz wrote and illustrated this bestselling book. She already has over 50 novelty and picture books. We selected “First 100 Words” by Roger Priddy as the best baby book for most infants and toddlers because learning the basics should always be the number one priority. It is also a very simple board book, no extras that can confuse a child while learning the alphabet. In choosing the best baby book based on concepts, you may pick one or more from the categories Counting, Colors, Opposites, Sizes & Shapes, Time, and Body. For parents, we have a list of some good books to read in their free time such as coffee table books. However, for particularly adventurous ones, check out our take on the best adventure books. And for contemplation, we also have our picks on the best book on meditation. Meanwhile, for those who aspire to take excellent photographs, learn from different photography books.